We want to make good customers, not just sales. The experience you take home, makes our business. For us, excellence means to learn, change and make our customers even happier ! That’s the introduction we want to pass on to you about our company. You, the customer, is the primary concern for A-1 Airport Cars always. All we want is you to go home with a happy heart and good feeling about our services. All companies say the same old stuff, but we really mean it! 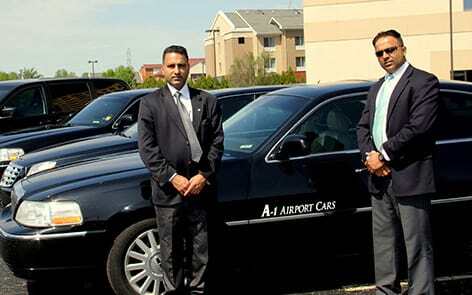 Gagan is the Marketing Head for A-1 as well as IT head for A-1 Airport Cars, LLC. He is taking care of this Website, promotions and marketing and all backend IT operations. For any technical problems with the Website or Online Reservation system, you may directly contact him anytime. The success of our company A-1 Airport Cars has been standing tall on affirmative customer experience. Being a transportation company, we know how important it is for any individual to have a dependable transportation service company. Airport transfers being the most tedious of all, we’ve pioneered our name in providing efficient transport from Detroit Metropolitan Airport (DTW) and other adjoining airports in and around Michigan state. Providing 24/7 online reservation, on Call back office and an efficient staff to provide you with a hassle free booking and an on time service on the day of your arrival or departure. The owner and director of the company, Tony Singh has always believed in the ‘customer first’ approach. Be it day or night, weather conditions good or bad, he is committed to the job in hand. This ideology runs thru the spine of the company and is well followed by all his staffers. The office managers, call takers and then the drivers, all are well-versed with the same work ethics. Ofcourse, everyone has bad days, and we've had ours too! But at A-1, we believe in learning from the breakdowns, adapting and modifying in the right direction. We urge you to help us maintain this belief, and if you have any suggestions or recommendations, you are duly welcomed. On this page, Tony Singh, the owner of A-1 Airport Cars would like to pass the message to all his customers, present and future, that once you try our services, every word that we shared above will stand true for you.